What is the difference between Novelty Lights LED and Incandescent Rope Light? Power Consumption: LED rope lights are more efficient than Incandescent when it comes to power consumption. The actual energy usage will sometimes vary depending on the color of the rope light. 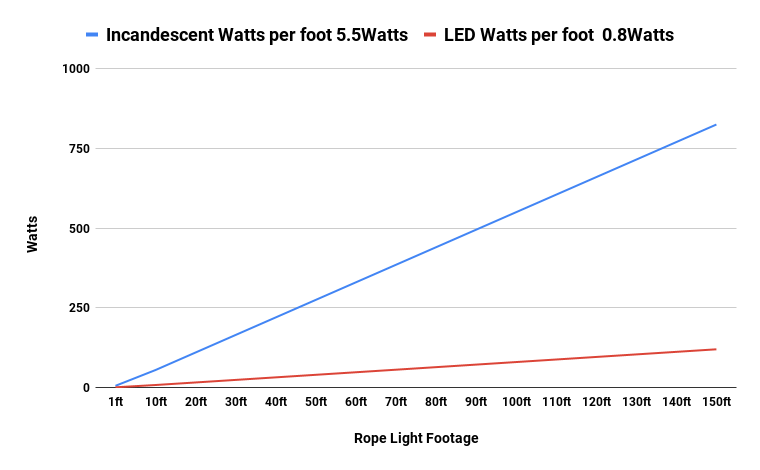 For example, the LED Warm White uses 0.8 Watts per foot vs the Incandescent Clear which uses 5.5 Watts per foot indicated by the graph below. 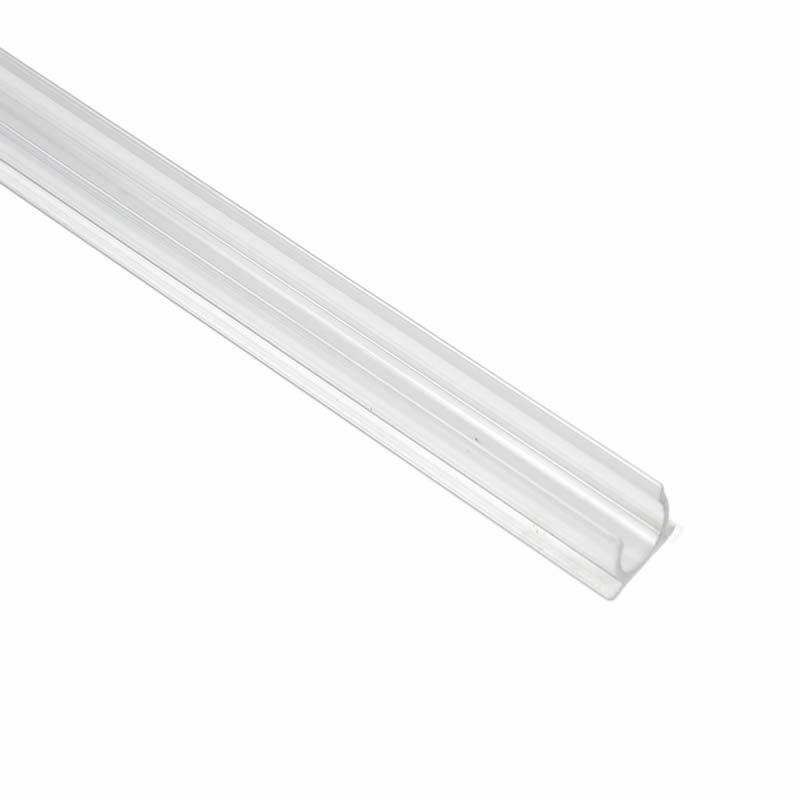 Bulbs: LED bulbs are colored with a clear tube. 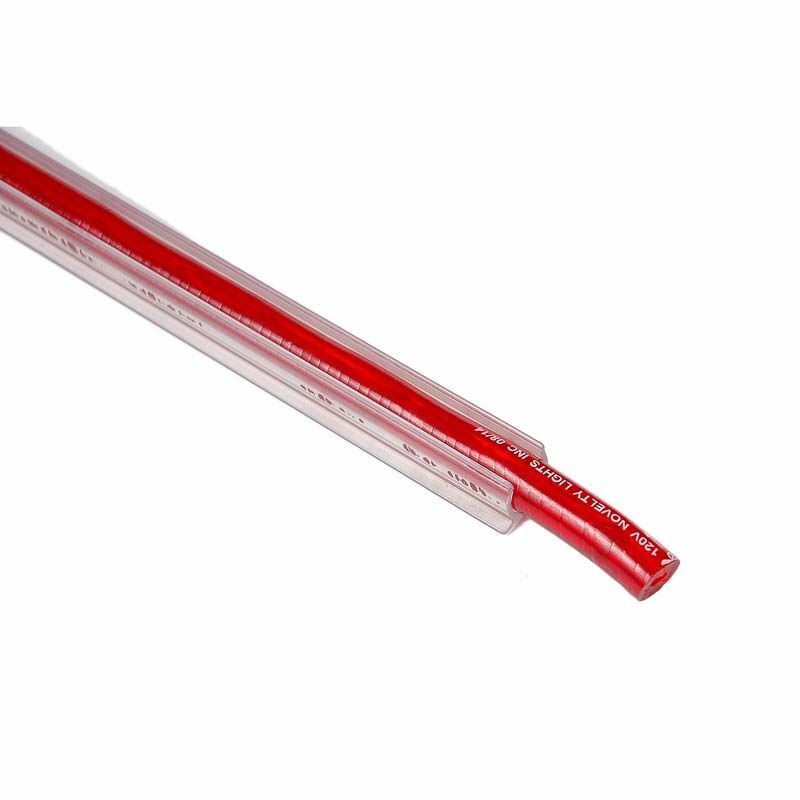 Incandescent bulbs on the other hand are clear with a colored tube. This results in the LEDs having a truer color that is more bright and vibrant. LED bulbs are rated at 50,000 hours vs Incandescent bulbs at 25,000 hours. Cost: LED rope light is generally more expensive than Incandescent rope light. The higher cost of LEDs is offset over time by the energy savings. For further questions contact our expert sale staff. Novelty Lights rope light, is a very popular line of products that can be used both indoor and outdoor for all season decorating or accent lighting. Although most people have seen or worked with rope light before, we get a lot of questions about how to properly install this product. Can rope light be cut to the exact length that I need? Rope Light is cuttable in specific sections. 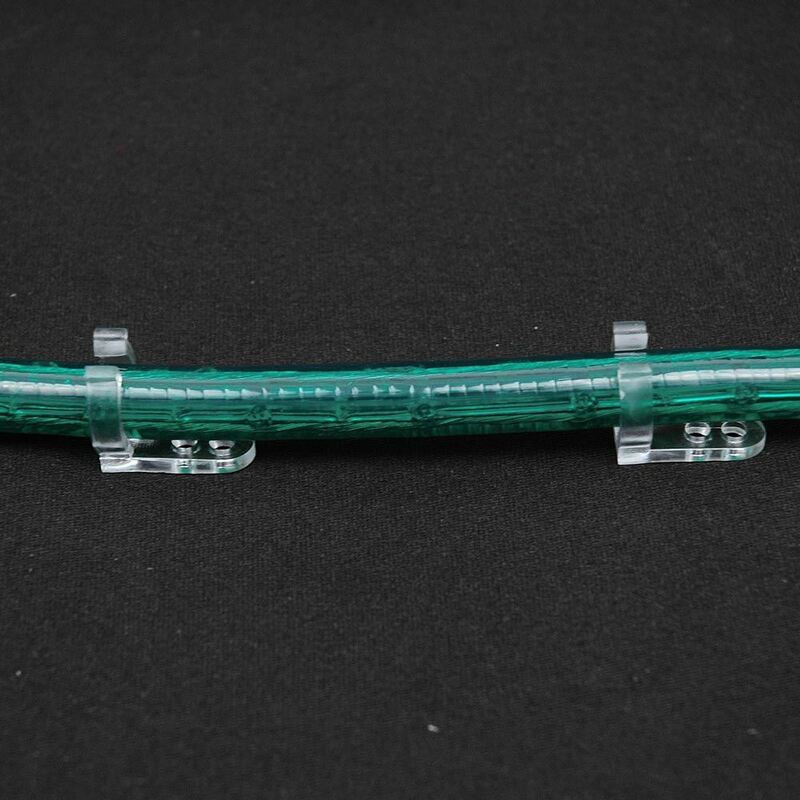 The section length will vary depending on the type of rope light you are looking to purchase. 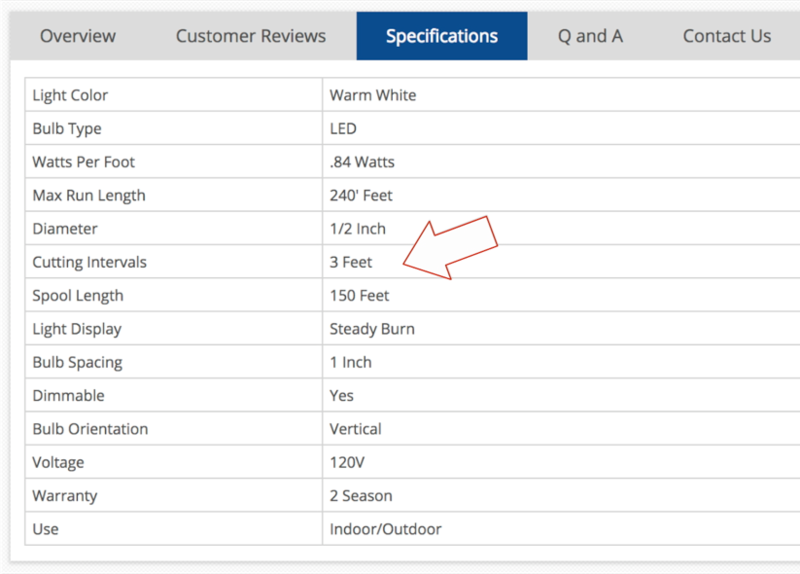 Refer to the Specifications tab on the rope light of your choice to find out Cutting Intervals. You may also consult with our knowledgeable Novelty Lights Experts. What is the difference between 2 wire and 3 wire rope light? Novelty Lights sells both 2 wire and 3 wire rope light. 2 wire rope light is a steady burn, always on when power is connected. 3 wire rope light is able to chase but will require the purchase of a chasing controller. Without a chasing controller, the rope light will function like a standard 2 wire, all on rope light. Is Novelty Lights Rope Light Dimmable? Yes. We sell both LED and Incandescent rope light. Both technologies are dimmable. 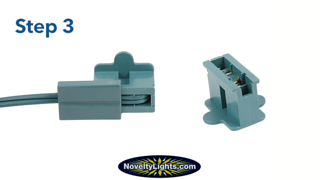 However, we recommend the purchase of a LED dimmer to use with our LED rope light. 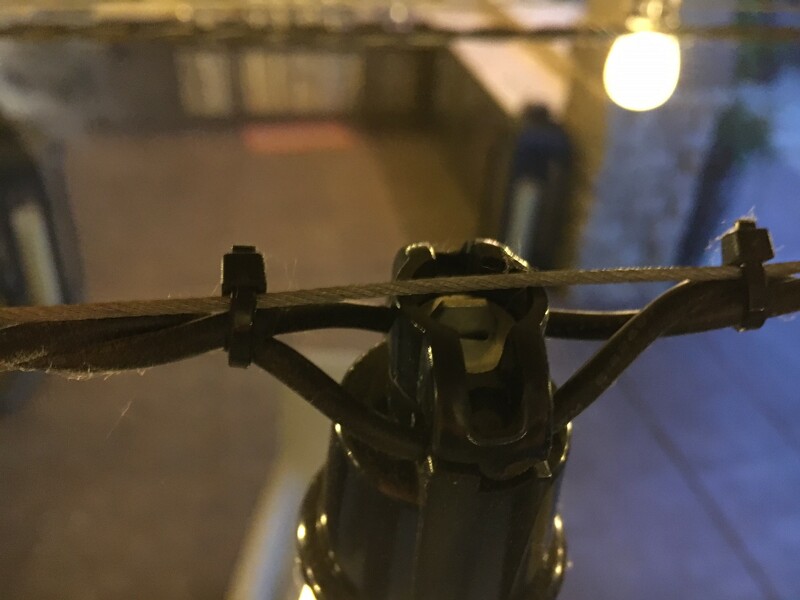 What do I do if a section of my rope light is off? Depending on the overall length of the rope light and the length of the section that is bad, you have a couple of options. If the overall length is short, you might find it easier and more cost effective to replace the whole piece with brand new rope light. 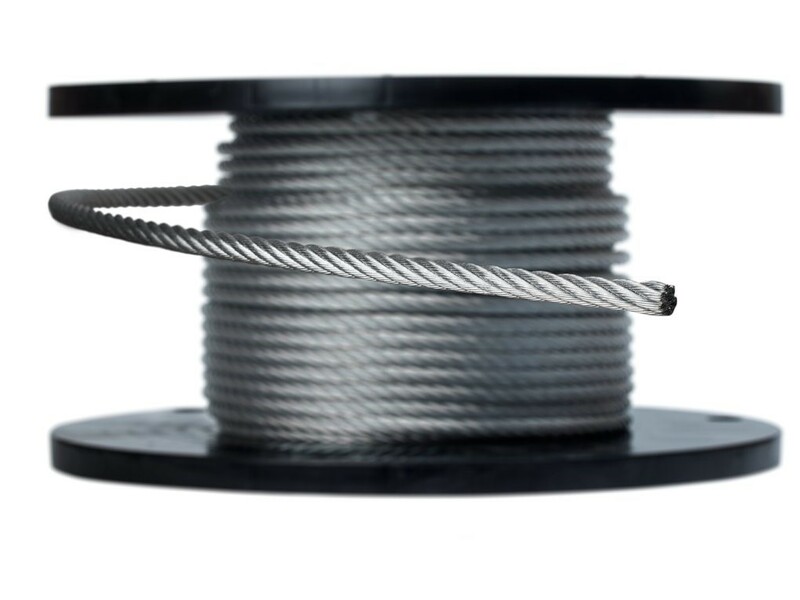 However, if you have a long run of rope light with a small defective section, you may purchase a replacement piece and splice connections to replace the bad section. What is the best way to mount Rope Light? Novelty Lights has two mounting accessories, depending on the application. The most common accessory is the Rope Light Track. These are 4ft pieces of channeling in clear or black track. The track can be attached to most surfaces using a flat head screw or double sided tape. Track is the best and easiest way to run rope light is straight lines. 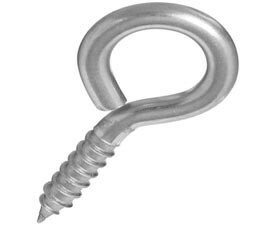 We also sell U shaped Rope Light clips. 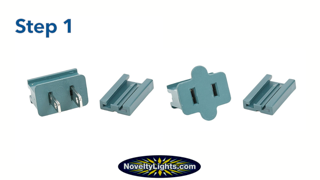 The clips are a clear plastic and can be attached to most surfaces with a screw The clips will allow for more flexible positioning but won’t be as easy or simple to keep in a straight line. Is Novelty Lights Rope Light flexible, up to what angle will it bend? Yes, our rope light is flexible and will bend up to 180 degrees. Novelty Lights also provides accessories to make mounting easier. What is the difference between buying a custom cut length vs a spool? Custom cut rope light will ship as a kit. 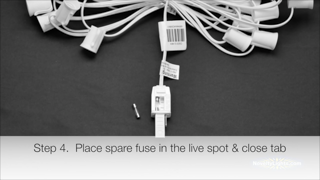 The kit includes a pre-installed power cord with your specified length of rope light. A 150ft spool of rope light includes an accessory kit that makes customizing lengths easier. Simple steps to changing the fuse on Novelty Lights C7 & C9 strings.Simple steps to changing the fuse on Novelty Lights C7 & C9 strings. 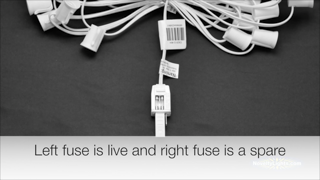 Take the live fuse out and replace it with the spare. 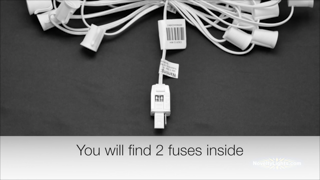 Before you pluging in the string, inspect the bulbs and wire to make sure there is no damage, that may cause the fuse to blow. Using the Novelty Lights male and female snap on plugs in combination with our 18 gauge extension cord wire and C7 & C9 spools. Making custom lengths of extension cords and light strings is very easy using Novelty Lights snap on plugs. Cut the Wire parallel, 1/8th of an inch in between both wires to allow them to separate. 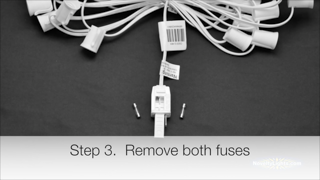 Push the wire down and lay the excess over the metal prongs. 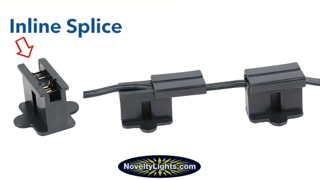 If using the inline splice, remove the break away tab. 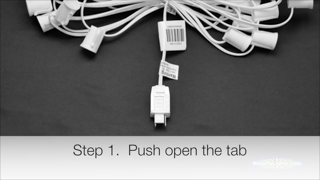 Slide the backing over the wire and plug to secure the connection. Wrapping trees with mini lights is a creative way to create bright, eye-catching Christmas lighting displays that will stand out. Choose wide angle LED mini lights for the brightest, most energy efficient, and long-lasting display. Here’s how to wrap trees with mini lights to create a luminous light display this holiday season. You don’t need to be a professional to wrap trees with mini lights. In fact, you can get the whole family involved. If you’re wrapping trees outdoors, make sure you invest in outdoor mini lights. 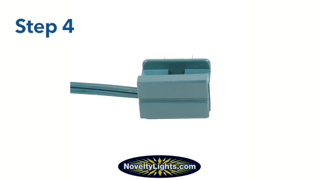 All of Novelty Lights mini lights are rated for indoor and outdoor use. They will not fade or break in cold or adverse weather conditions. When you begin, unwind the mini lights and look for the male plug so you can plug in the lights when finished wrapping your tree. You also need to determine the length of mini lights that you need for your tree. Depending on the width of your tree and how tall the tree is that you want to wrap, you will likely need to use several strings. Be sure to double check the maximum number of strings that you can connect of the lights you purchased. If you are using LED mini lights, you can connect 20+ strings together with no problems. Each product on our website has the maximum number of connected strings listed under the specifications. Follow these easy steps to get you started. To make wrapping the tree incredibly easy, ball up the strings of lights. Start with the female end and wrap the lights around and around to create a ball. Alternately, we sell mini lights that are already in a ball, our Coaxial LED mini lights (sold by the case). We recommend starting from the bottom of the tree and working your way up. Start by wrapping the trunk of the tree, wrapping the mini lights firmly. You want to avoid wrapping them too tightly because you may need to adjust the lights in areas or swap out bulbs if one burns out. You also want to avoid wrapping the tree too tightly to give it room to breathe, especially outdoors. When you reach branches on your tree, you want to wrap the same way you did around the trunk but leave enough space so that you can wrap back towards the trunk after reaching the end of the branch. You don’t need to wrap all of the branched, and you only need to go about ¾ of the way up a branch for maximum effect. Once you have reached the top of your tree, you’ll begin wrapping down the trunk of the tree, if desired. Doubling up on the mini lights on the trunk to create a brighter effect for the tree. When you’ve finished wrapping the tree, plug in the male plug you left at the bottom and enjoy the light show! Make your ambient string lighting look professional while creating a relaxing atmosphere with Novelty Lights. 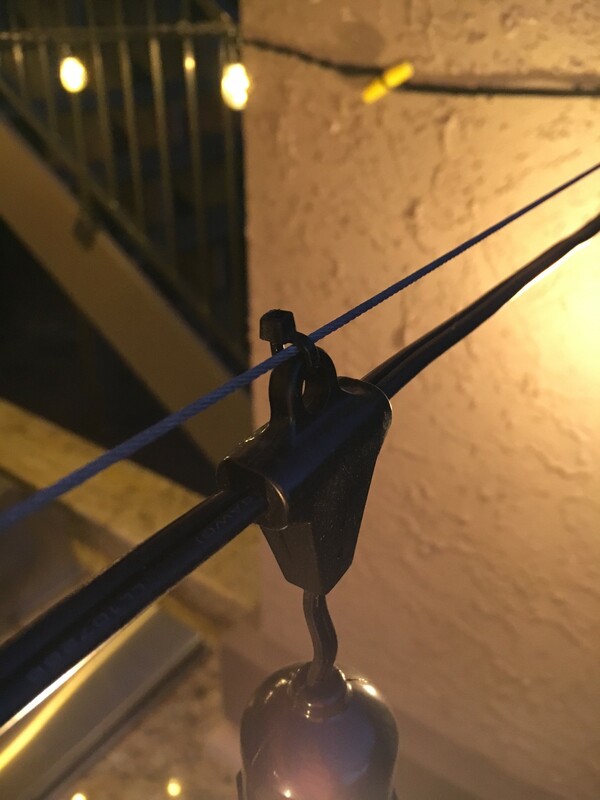 Using support guide wire to hang outdoor string lights is a relatively easy home improvement project that anybody can tackle! your string lights for long-lasting use. 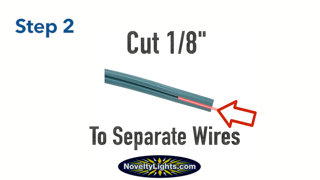 Let’s look at how to use guide wire to hang outdoor string lights. In order to use guide wire to hang outdoor string lights, you’ll need to invest in some support wire, screw hooks, eye bolts, cable seals, or snap hooks. 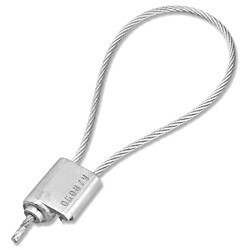 We generally recommend “aircraft wire” to be used as your support cable. A typical wire thickness you would use for your aircraft wire would be 1/16”. You’ll be able to find these items at your local home improvement store and depending on your application you may need all these items or only some. 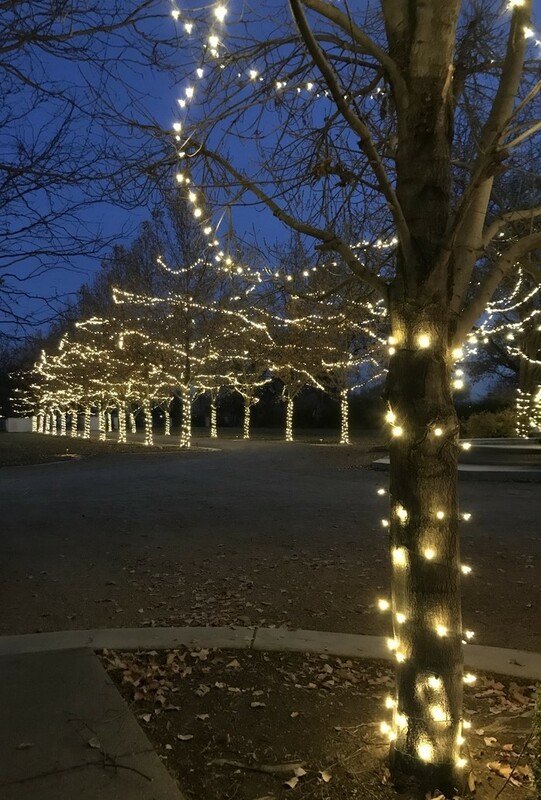 Before you begin, your outdoor string lights will have instructions for how many strands of lights you can connect to one another. Make sure you follow these instructions for safety reasons. If your string lights do not come with premade eye lid holes specifically made for support wire then you will need to use cable ties or zip ties to secure the lights to the support wire. 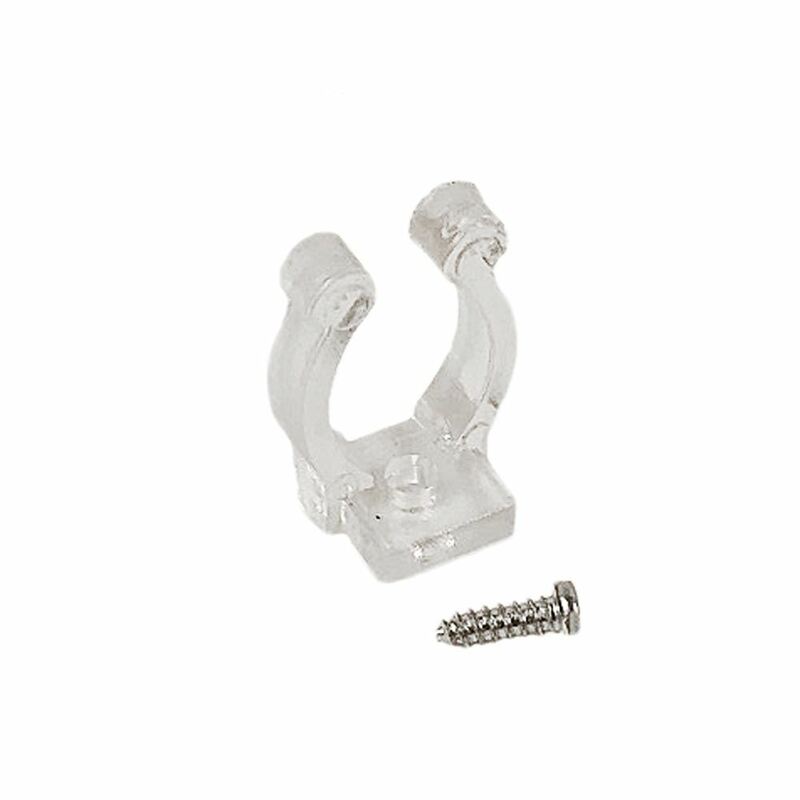 You’ll use the screw hooks or eye bolts along with snap hooks to create anchor points for your support wire. Every application is different but some examples of anchor points are porch roofs, pergola support beams, trees, light posts, and other stationary objects can be great anchor points for hanging outdoor string lights. You can even install poles in your yard and feel free to get creative about hiding them in shrubbery to mask them to hang your string lights. Globe lights are becoming more and more popular every year. 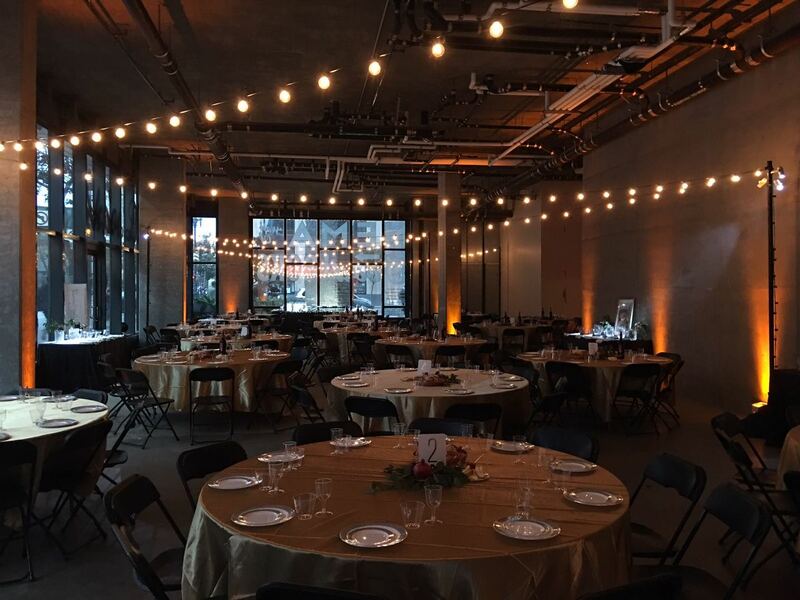 Either using them for outdoor lighting projects or in special events, globe lights are the top choice of professional decorators and do-it-yourselfers. For restaurants and other venues where the lights will be used daily, LED is becoming a popular choice because of the huge energy and cost savings. 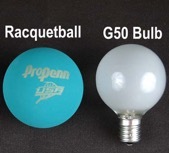 G50 is the biggest size globe bulbs available and the one we recomend . For other projects, it really depends on how large of a bulb you want and what size socket you are needing to fit. Our G50 bulbs are definitely the most popular, followed by our G40s and G30s. The G50 bulbs use an E17 base, which is also called a C9 or intermediate base. 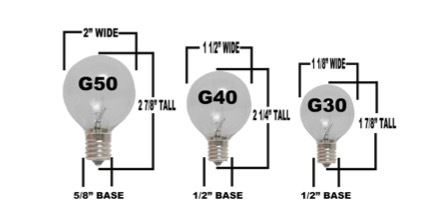 The G40 and G30 bulbs use a smaller E12 or C7/Candelabra base. You can change out your globe lights for C7 or C9 Christmas lights for the holidays, just be sure that you order the correct size for your stringers! or we do sell a clear G50 bulb with an E12/C7 base. Here at Novelty Lights, Christmas is on our minds! We are finalizing our ordering for the holiday season to ensure that we have all of the lights you need this Christmas. In fact, we are now fully stocked with Holiday Lights, including the popular C7 and C9 Christmas lights, every color and size of mini lights, starlight spheres, rope light snowflakes. We suggest that you also look into purchasing your holiday lights now! It’s never too early to start thinking about holiday lights, because when the final quarter of the year rolls around, finding the holiday lights you’re looking for can become a difficult and exhausting task. 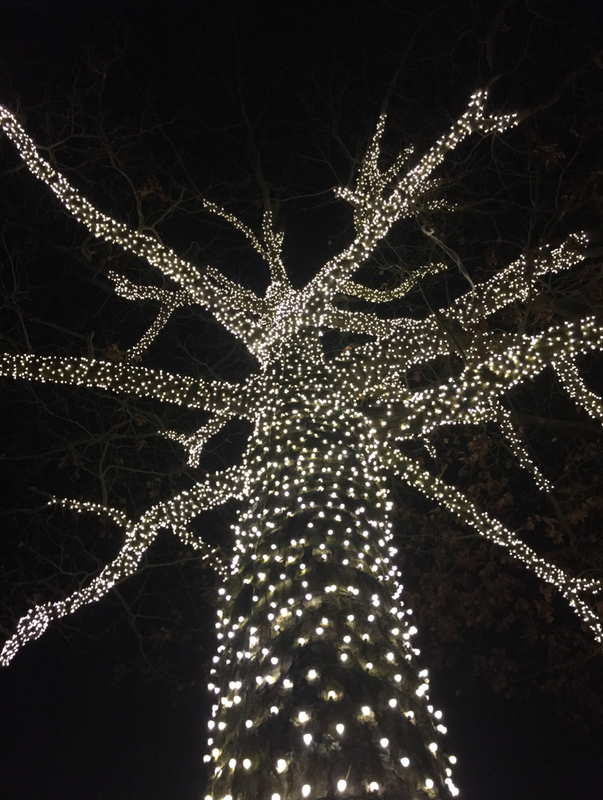 Thinking about holiday lights outside of the winter months allows you a plethora of opportunities that you typically won’t have during the busiest months of the year. Planning and ordering holiday lights in the early spring and summer allows you time to research your options, choose the look you want, and avoid the hassle of shopping for lights at the store, leaving you plenty of time to get your lights long before the holiday craziness begins. Getting your holiday lights early can serve a dual purpose. Enhance the atmosphere of any summertime party or add a twinkle of luminance to your quiet living space. With several ways to integrate holiday lights into your day-to-day life, Christmas really can come in July, and stick around all year long. Stay ahead of the game and beat the holiday crowds by thinking about holiday lights early, and incorporating new uses for them throughout the year. Dont forget to check out our sales page year round and take advantage of great prices! Mini string lights are a massive trend among party-throwers and decorating gurus alike. Their versatility, soft ambiance, warm glow, and chic appearance make the addition of mini lights a must have in your living space, and they are affordable to boot! Mini string lights are most used to illuminate your Christmas tree every winter. Don’t invest money for just one month of luminance. We’ve come up with five ways to use mini lights year-round. Mini lights come in all different colors, styles, and lengths. For a smaller strand of clear lights, hang them around a window in your office or bedroom. The natural light from the window is already a great feature, so framing the window’s natural light with a warm and cozy glow adds eye-catching decor and the illusion of comfort to any living space. Use clear incandescent or warm white LED mini lights to create a warm, timeless look. We’ve all seen them. Whether they’re out in the neighbor’s trash can or sitting at a garage sale, old chandeliers with missing light bulbs are easy to come by. It may be difficult to find an appropriate bulb or the wiring might be broken, so people trash these treasures all the time. Recycle an old chandelier and wrap it with mini lights to give it the same luminous effect, without the trouble of restoring its original use. Mini string light wrapped chandeliers are a stylish and functional addition to any indoor or outdoor living space, and they’re sure to attract the attention of every party guest. Whether you use this mini light light idea indoors or out, you’re sure to add decorative innovation and a warm glow to your living space. Hang mini lights in a dangling pattern against a wall or a window to create a mini light curtain. Great for backdrops on the porch, or evening glow in the bedroom, using mini lights to decorate a wall or window is a great way to add warmth and creativity to all your entertaining spaces. A typical way to hang Christmas lights for the holidays is by wrapping the clear or white mini lights around the tree trunks in your yard. The fun part is that this same technique can be used all year round with ease. 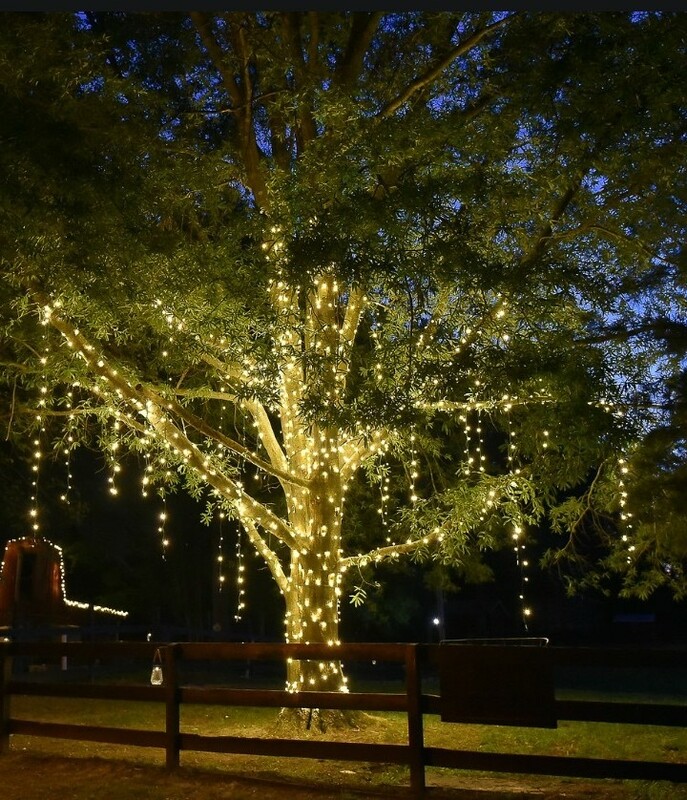 Add an adirondack chair or a picnic table to the area where your tree trunks are wrapped, and create a luminous glow to bask in year-round. The soft ambiance of the wrapped trees is sure to be enjoyed! Backyard get togethers are a common entertainment option throughout the warm season. Decorating with mini lights creates a warm and comfortable atmosphere that can be inviting for any occasion. 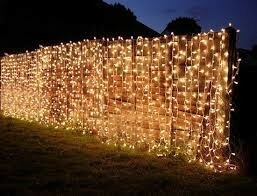 Start by stringing mini lights along the fence. You can drape them in a scalloped fashion, or stretch them along the top. To illuminate your entire yard for a get-together, we recommend also draping them across the patio for soft, intimate lighting. Mini string lights are not just for the holidays. Put your money to good use, and let your creativity shine with these innovative solutions for decorating with mini lights year-round. All summer long, the warm weather makes for comfortable evenings sipping lemonade on the porch while watching fireflies flash or the kids play. Standard porch lights are mounted to the side of your house, and give off one harsh light that allows for limited visibility. 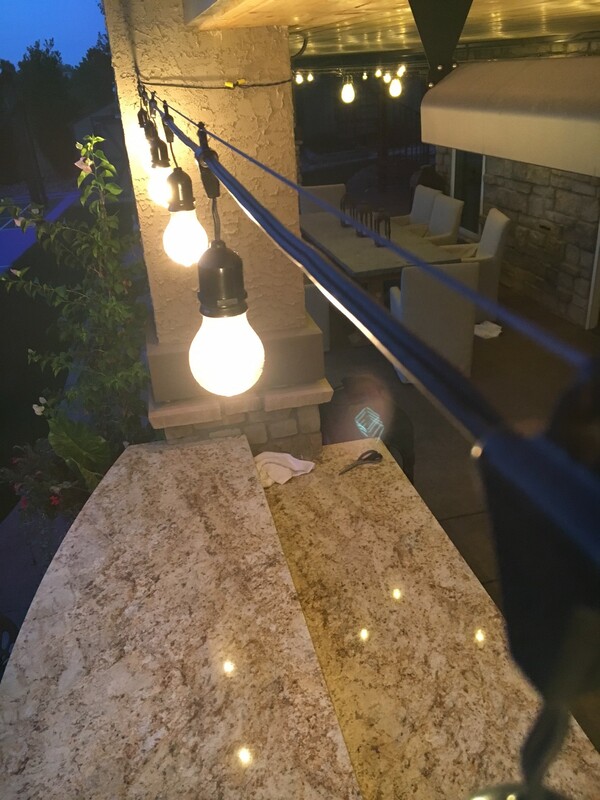 Create an outdoor experience on your porch, patio or deck by ditching the traditional bulb, and integrating a different kind of luminescence. 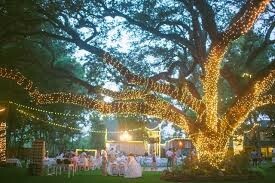 A popular trend is the use of Christmas lights year round in the yard or on the porch. The warm glow of mini lights creates a twinkling illusion, and relaxed atmosphere that embodies the comfort of gathering outside. Mini lights can be draped from the house, across a pergola, dangling from the porch above, or simply strung along a wall or fence to create an outdoor experience of summertime comfort. Often solar powered, stake lights can be purchased at any home improvement or garden center. They simply get placed into the ground wherever you choose throughout your yard and attract the energy from the daytime sun to power nighttime luminance. You can use as few or as many stake lights as you’d like, and by strategically placing them around your yard, you can create a porch experience that will last year round. 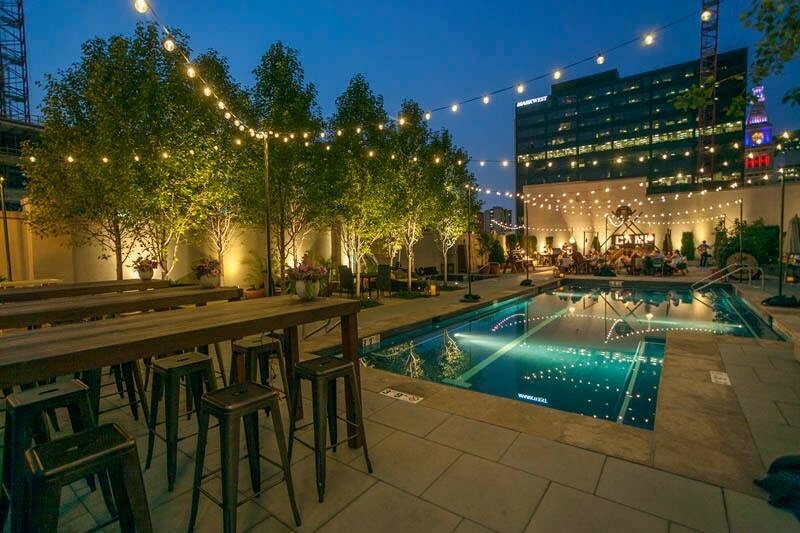 Different from the smaller mini lights, globe string lights are a great way to add warm light and sophisticated elegance to your outdoor living space. The large, round bulb creates an industrial look as a luxurious and trendy way to decorate outside. Your porch is a gathering place. By stringing globe lights across the porch and sitting area, you’re sure to establish an outdoor experience like no other. Intimate and timeless, candlelight has long been a solution in transforming a regular living space into an intimate gathering spot. Candles have to be lit individually every time they are used, but their natural luminance gives off a subdued amount of light that creates a comfortable and close outdoor experience. Buy a battery operated starlight sphere and hang it from your open patio umbrella to illuminate your dinner party table. These lights couldn’t be easier to use and hang and will provide hours of perfect lighting. Not needing to complicate your space with cords means this lighting idea can be put together effortlessly and will look fantastic. Old chandeliers are a great accessory in lighting your patio throughout the year. Many people throw away chandeliers when they no longer work due to faulty wiring, or when light bulbs can no longer be found to replace old ones. Rather than tossing that beautiful decoration, wrap it in mini lights and hang it on the front porch. The string lights get plugged in, and the chandelier hangs effortlessly above your outdoor gathering or late night conversation, creating an elegant space and experience. Also, a seasonal favorite, rope light is generally found in the holiday section throughout the winter. It's year round use is often overlooked, as rope lighting makes for a great porch illuminator, that is accompanied by a warm and organized appearance. Nothing hangs or dangles, or takes away from your porch’s existing beauty. Rope of light just adds visibility and style to any outdoor living space. 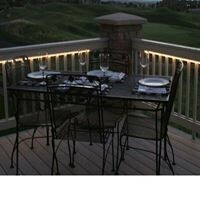 We love to string rope light along a deck or even to wrap a deck with rope light for a crisp, classic look.